Dementia and Alzheimer’s can make it difficult for elderly loved ones to live independently in their homes. Absent-minded spells can lead to falls, burns or accidents if support is not provided. 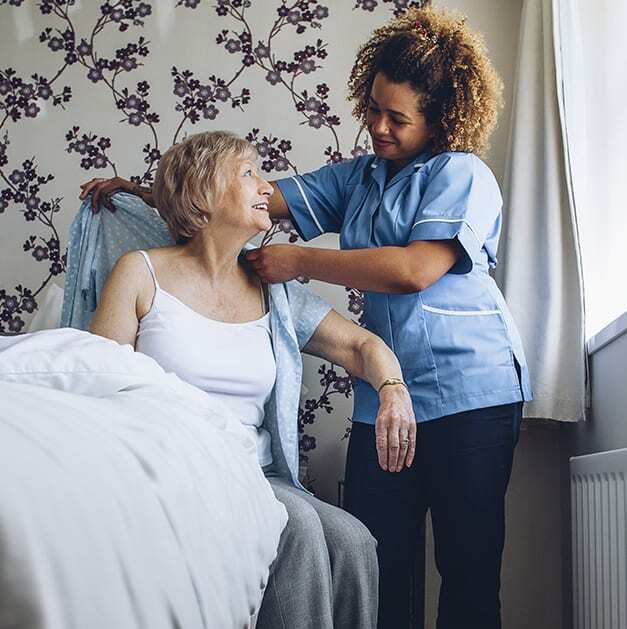 Companions of London works with highly skilled and fully qualified dementia and Alzheimer’s carers who can help you to live in the comfort of your own home for as long as possible. 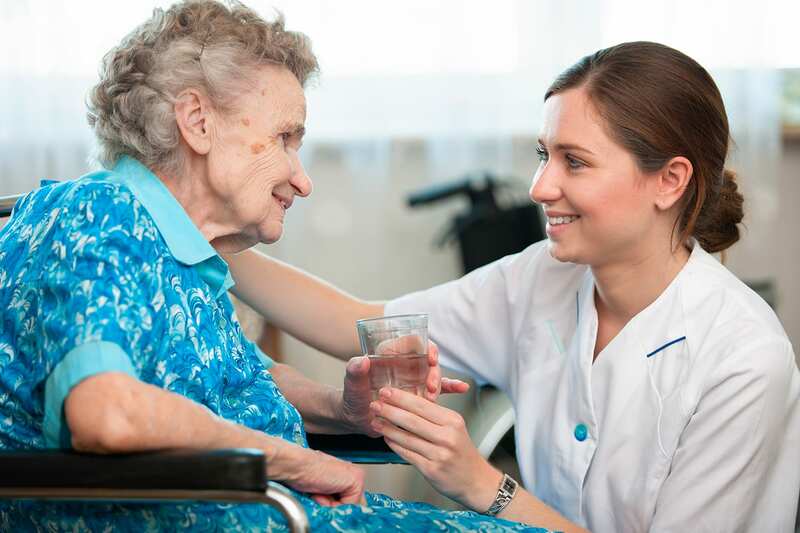 If you would like to discuss care requirements, call us now on 020 7483 0212. Dementia is an overall term used to describe symptoms that impact memory, the ability to perform daily tasks and communication skills. Dementia occurs when brain cells are damaged by conditions such as Parkinson’s, Huntington’s, strokes, infections and vascular diseases, with Alzheimer’s disease being the most common type of dementia. As symptoms of dementia progress, the ability to live independently decreases. Early symptoms include mild forgetfulness, losing track of time and losing your way in familiar settings. More advanced symptoms include a decline in the ability to think, severe memory impairment and loss of communication skills. Alzheimer’s is a progressive terminal disease that can affect younger people but is mostly diagnosed in elderly people aged over sixty. The symptoms are caused by a build-up of abnormal protein deposits in the brain, which prevent cells from connecting. As well as memory loss and confusion, Alzheimer’s can also cause apathy, depression, impaired judgement and disorientation. It isn’t recommended that an elderly person with Alzheimer’s lives alone unless they are receiving daily care and support. There is currently no cure for dementia, but it is possible to manage the symptoms with medications and alternative therapies that help to address sleep problems, agitation and other concerns. Acetylcholinesterase (AChE) inhibitors, for instance, increase levels of acetylocholine in the brain and help nerve cells to communicate with each other. These medicines can be prescribed by psychiatrists, neurologists or by your GP on the advice of a specialist. Antidepressants may also be given to manage depression and anxiety in Alzheimer’s patients to help regulate their moods. Activites and support are just as important as medicines in managing the symptoms of Alzheimer’s and dementia. Cognitive Stimulation Therapy (CST) involves taking part in group activities and exercises that are designed to improve memory and problem-solving skills. Cognitive rehabilitation works by getting you to use the parts of your brain that are working to help the parts that are not. It may involve activities like learning to use a mobile phone or other everyday tasks, and can be taken with an occupational therapist, friend or relative. Your home carer can also provide cognitive rehabilitation if they are trained in the technique. Companions of London provides specialist dementia and Alzheimer’s home care across London. Our expert carers are fully qualified in dementia care and are able to provide the comfort, support and reassurance that your relative requires to maintain their independence at home. Why Choose Companions of London for Dementia and Alzheimer’s Care? Our friendly and highly experienced team will take the time to really get to know you and provide a personalised care plan that considers your needs, location and budget. 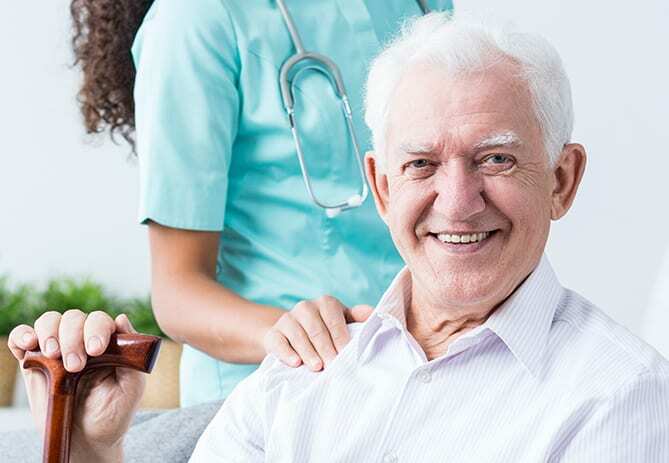 Our specialist home care providers can offer person-centred care that’s tailored to your loved one’s interests, abilities, history and personality to help them retain their memory and concentration. They will encourage your loved one to take part in social events, hobbies and interests they find most enjoyable so that they stay connected to their family and friends.